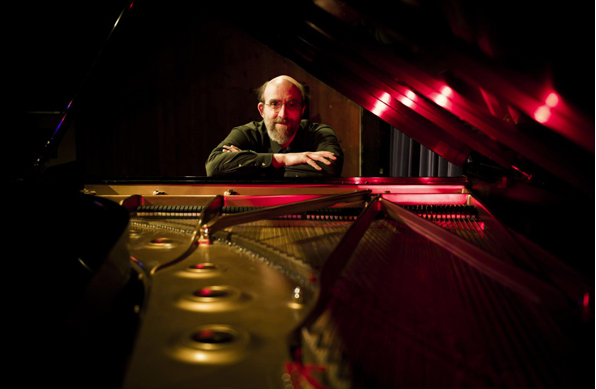 It isn't that George Winston doesn't want a band, he's just apathetic to the whole idea. The solo pianist, who started playing the organ at the age of 18 (nearly 50 years ago), inspired by jazz stride players of the '30s like Thomas "Fats" Waller, before moving on to the piano—and, realized that playing with a band just wasn't for him. "It turns out I don't listen when I'm playing," said Winston in an interview with the Source. "I didn't know that I wasn't listening. It's like if you're color blind, you just think that's normal. That was normal to me. It wasn't a handicap; it was who I was. My temperament is to play by myself. I'm not a great backup musician." Lucky for Winston, he never had to be. Drawing influence from a wide variety of artists and genres, including blues, New Orleans style rhythm and the haunting organ playing by Ray Manzarek of The Doors, Winston's ambient jazz/blues/New Age/folk hybrid doesn't lend itself well to multiple musicians. Best known for his "folk piano" style, more comparable to guitar picking than classic jazz piano, with sustained chords painting rustic countryside portraits, Winston has done just fine on his own. Seasonal anthem albums "Autumn," and "Summer" as well as a hit Christmas album "December" brought Winston to prominence in the '80s and '90s and helped carve out what was billed as "New Age" contemporary, a genre that instills a very specific sensibility—played at ritzy dinner parties—and was a punching bag for many critics and listeners. However, Winston has sustained a successful solo career for over 40 years diversifying that style—which is nothing to scoff at. Playing by himself has also allowed Winston to pursue not only a variety of genres, but also varied pacing in his music and his own on-the-road style of philanthropy (Winston often donates proceeds from merchandise sales to local and national charities). And, it permits his unabashed affinity for Vince Guaraldi. He has released two volumes (1996's Linus and Lucy—The Music of Vince Guraldi and 2010's Love Will Come—The Music of Vince Guaraldi Vol. 2) of "Peanuts" songs, including some that had not been released by Guaraldi himself. Winston said that in his career he's played and recorded upward of 60 Guaraldi tunes. "I've even expanded some of the 'Peanuts' soundtrack," said Winston. "Sometimes there's a great cue for 40 seconds. I'll play that twice, provide those chords put in a melody with something else I've scanned. He was a great interpreter; it's educational and inspirational how he did other people's pieces, added and did improvisationn." Tower Theatre, 835 Wall St.